Naughty Dog confirmed a few technical details about Uncharted 4, following yesterday’s impressive demo. Uncharted 4 is in the news again, thanks to a livestream of an extended version of the E3 demo, which is arguably more incredible than the first half. But before the show was over, Naughty Dog developers answered a few questions. First up, they confirmed that Uncharted 4 will run at 1080p, 30 frames-per-second for the single-player portion. Newman along with co-lead designer Kurt Margenau confirmed that the it will be locked to 30fps to be consistent, instead of relying on a fluctuating frame-rate. “If we wanted to hit a locked 60fps, there’s a lot of optimizations in the environments that would have to happen,” Newman went on. “This would make each level take longer to make. As for multiplayer, the studio is still targeting 60 frames-per-second. Photo Mode – a feature that’s been added to most of Sony’s first-party titles, will also make a return in Uncharted 4. 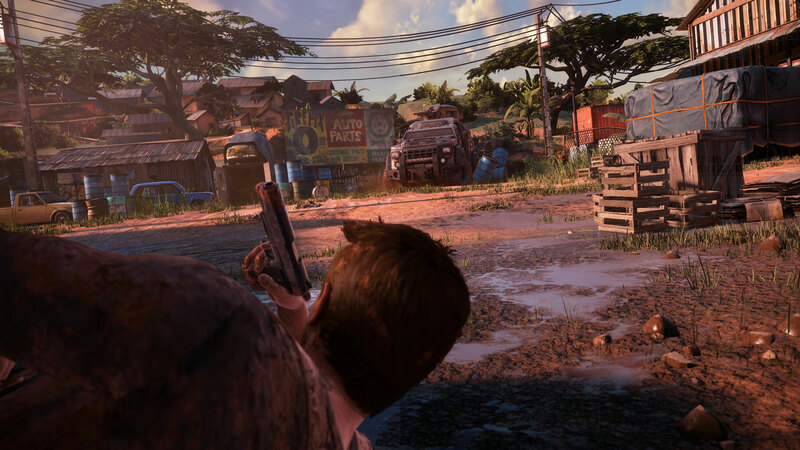 Uncharted 4 is due for release in 2016.